Fits Jetta VR6 and lets the beast breath without screaming too loudly. The generous 2.5" pipe diameter and smooth mandrel-drawn bends increase total mass flow over lesser 2.25" designs. That's while scavenging flow velocities are maintained. The result is both power and torque! -across a broad rpm band, too. 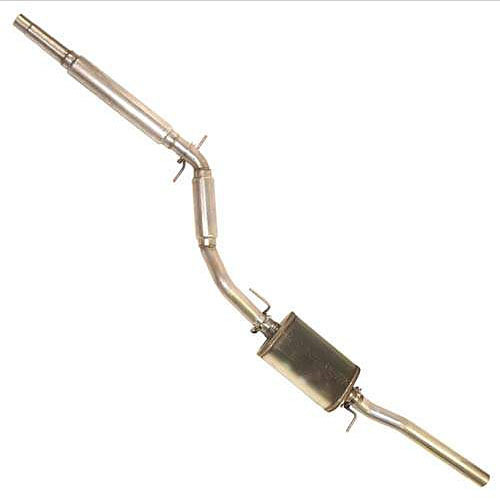 Made from aluminized mandrel-bent tubing, this cat back exhaust features a stainless steel Magnaflow muffler and two marriage saving (noise dropping) resonators.